If a picture is worth a thousand words, what is a picture of a word worth? A lot, we think. That's why we developed the extensive CSA Word Image collection, tens of thousands of words rendered in astonishing styles that will leave you speechless. Searchable by keyword, CSA Word Images provide an all-in-one verbal and visual approach to help express any idea. 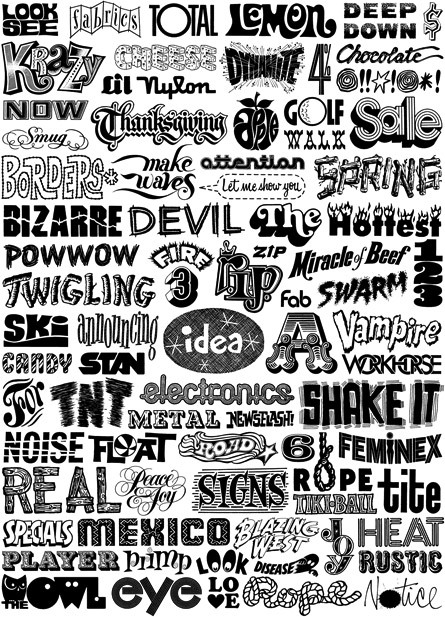 Word Images are based on thousands of rare, hand-drawn, beautifully imperfect letter forms, in addition to obscure and classic versions of metal and photo type fonts that span the entire history of typography.